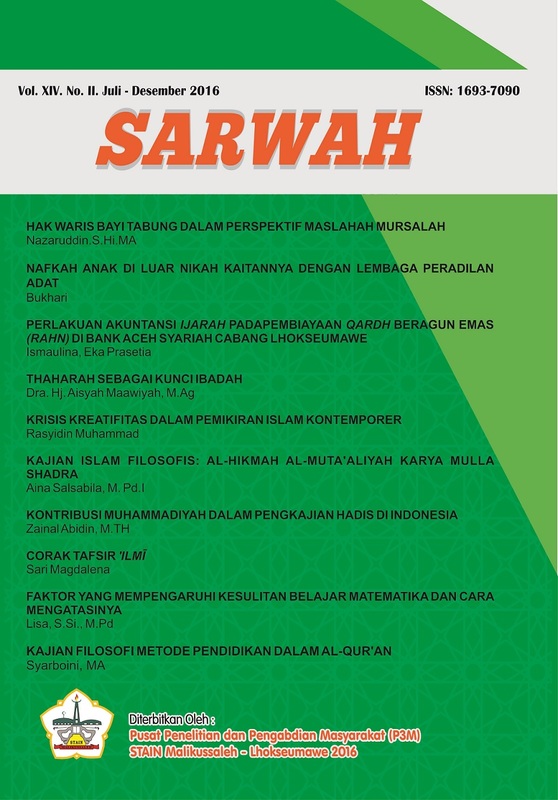 ITQAN : Journal of Educational Sciences is a scholarly journal on the field of educational science by the faculty ofTarbiyah and teacher training of the Islamic State Institute of Lhokseumawe, Aceh, Indonesia. The word "Itqan" is derived from Arabic language which means optimism and steadiness of work (writing). 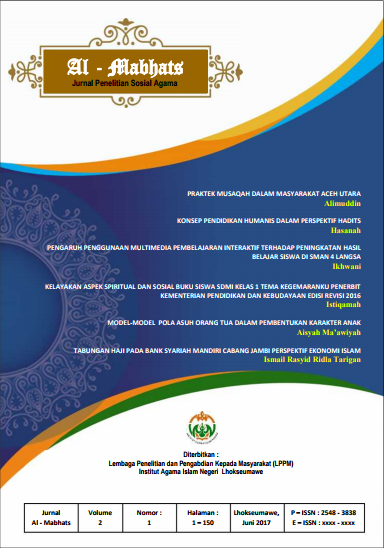 The name is given to fostering the spirit of writing creativity by academician in general, and especially for all academicians of Tarbiyah and teacher training faculty of the state Islamic Institute of Lhokseumawe to publish their academic writing. This Journal contains original works from lecturers, researchers, students, and other concerned parties who have not been published or are not on the publication in the form of articles on research, and conceptual ideas. The journal publishes twice a year in two editions from January to June and July to December. 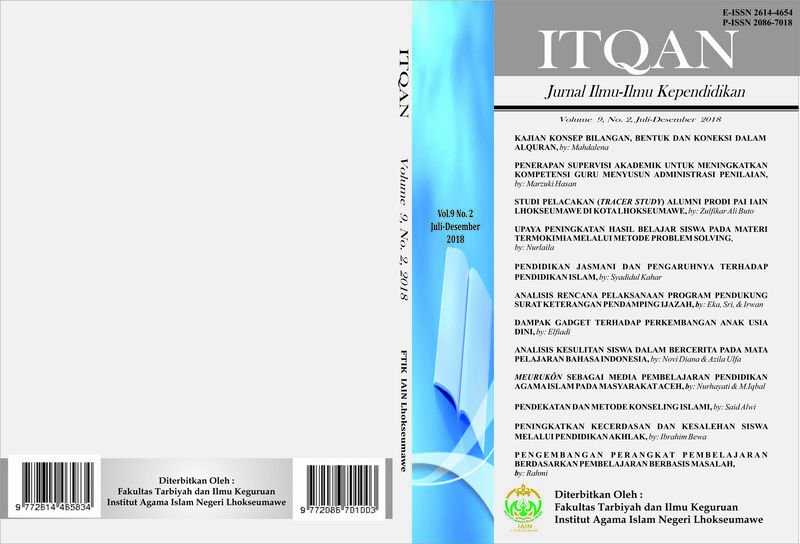 The Scope of Itqan journal includes the area of (1) Islamic education; (2) English education;(3) Arabic Education; (4) mathematics education; (5) Islamic education management; (6) Indonesian Education;(7) Early Childhood Education; (8) elementary education, and any educational Islamic studies related to Islamic education. Meanwhile, some other index status are in process like OAJI, Wordcat, Mandeley and etc.